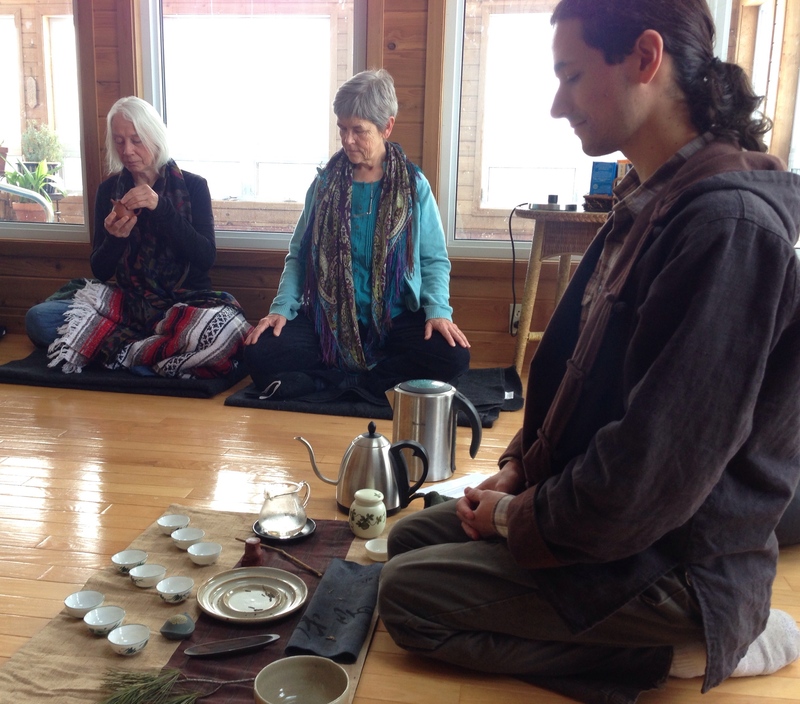 Payton hosted us in a offering of the Chinese Tea Ceremony this Sunday. Different in nature from the Japanese Tea Ceremony, this one is designed to serve – and awaken – a number of people at the same time, as we join in observing the preparation and then all partake of the tea at the same time. Each phase of the ceremony is offered with great mindfulness and precision, and even to watch it is a meditation, quieting the mind, sharpening the senses.